NEW YORK CITY — Richard Hell hosts filmmaker Kelly Reichardt at the Thalia on Dec. 4 for a screening of her film Meek’s Cutoff, a story of betrayal and survival set in 1845 on the Oregon frontier. The film stars Michelle Williams. For more information go to Symphony Space. 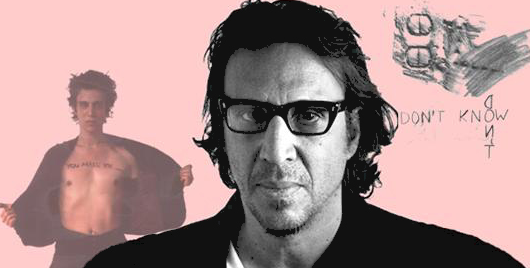 By DONNA BALANCIA — Richard Hell has never been one to shy away from raw emotion. But the punk rock icon and current-day writer says the music of young Lydia Loveless makes him — well, wistful. “Lydia is the only current singer-songwriter the power of whose music and voice consistently makes me cry,” Hell said of Loveless who performs at the Symphony Space Thalia theater tomorrow night. Hell curates a performance series called “Night Out with Richard Hell” for Symphony Space in New York City. Lydia Loveless has managed to impress Hell because of her words and genuine approach to the music. A native of Columbus, Ohio, the modern country performer and her band are making waves in the music scene. She is among several young artists Hell interviews during his ongoing series at Symphony Space. Hell said he selected the Thalia theater for the cozy setting, as the theater has 168 seats. “The main thing though is that all these people are interesting and talented and this is a unique chance to see them so intimately,” Hell said. Since Hell retired from music in 1984, he has written two books and a series of articles for a range of magazines and media outlets. For additional information on Richard Hell or any of the artists he interviews through the Symphony Space series click here.